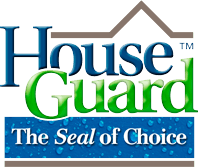 Houseguard & Oldcastle Materials believes that a first-rate sustainability program isn’t the right way to do business; it’s the only way to do business. We invest considerably in reducing our environmental impact, such as by incorporating recycled materials into our asphalt production, and creating programs to support local communities, such as our growing roster of wildlife habitats on properties nationwide. be good neighbors in the many communities in which we operate.